CULTURUNNERS @ MIT (October 1st to 6th, 2014) was a week of workshops and public events with artists, designers, filmmakers, scientists, curators, and scholars whose practices inspired novel approaches towards cross-cultural exchanges specific to the United States and the Middle East. The program was a melting pot for the conceptualization and contextualization of the CULTURUNNERS project, an artistic and technological expedition that is the core component of the Edge of Arabia’s US tour in partnership with Art Jameel as well as the ACT's Culture Fabric research on cultural empathy. 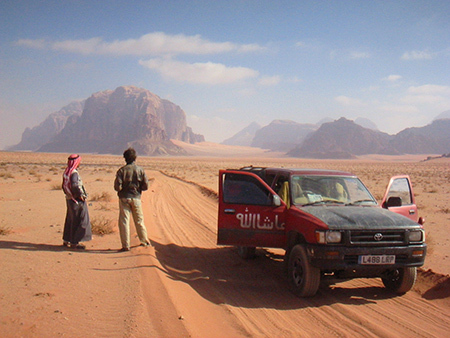 Over the course of three years, CULTURUNNERS will invite an evolving group of artists, scientists, and thinkers to cross the country in the hope of investigating and experiencing commonalities and interconnecting narratives, economies, politics, cultures and landscapes between the United States and the Middle East. CULTURUNNERS will use custom-built artistic technologies to map, archive, and broadcast the experiences of the travelers over the course of their tour. The Public Symposium, was free and open to the public. Applied Workshop participation was by invitation only. Azra Akšamija is a Class of 1922 Career Development Professor and sssistant Professor at Massachusetts Institute of Technology. 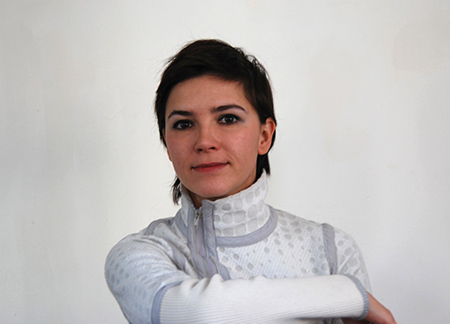 Azra Akšamija is a Sarajevo-born artist and architectural historian based in Cambridge, MA. She is the Class of 1922 Career Development Professor and Assistant Professor at MIT’s Program in Art, Culture and Technology. In her multi-disciplinary work, Akšamija investigates the politics of identity and memory on the bodily scale (clothing and wearable technologies), on the civic scale (religious architecture and cultural institutions), and within the contexts of history and global cultural flows. She holds graduate degrees from the TU Graz, Austria (2001) and Princeton University (2004), and received her Ph.D. in History of Islamic Art and Architecture from MIT in 2011. 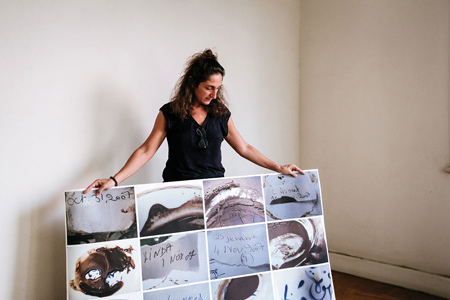 Her work has been published and exhibited in leading international venues, such as at the Generali Foundation Vienna, Liverpool Biennial, Museum of Contemporary Art Zagreb, SculptureCenter New York, Secession Vienna, Manifesta 7, the Royal Academy of Arts London, Queens Museum of Art in New York, and the Fondazione Giorgio Cini as a part of the 54th International Art Exhibition of the Venice Biennale. She received the prestigious Aga Khan Award for Architecture in 2013. 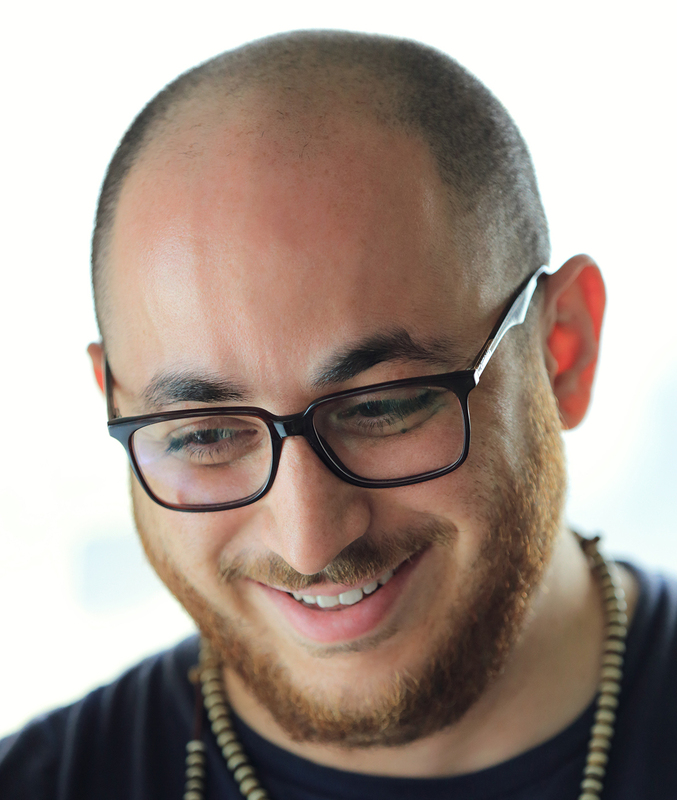 Husam AlSayed is a filmmaker, musician and co-founder of Telfaz11. He worked as an editor and in-house director for Jeddah based production house SilverGrey Picture & Sound editing films, corporate videos, TV commercials and later came up to direct and shoot various video productions. In order to pursue a more fulfilling career in arts and culture, he joined and partnered Alaa Yoosef and Ali Kalthami, two passionate artists, to create C3 films. A company that focuses on cultivating the Saudi culture through arts and its online shows under the wing of Telfaz11 channel. Ava Ansari is an artist, educator, and curator. She is the co-founder of The Back Room, a curatorial and pedagogical project which facilitates exchanges between artists and scholars in Iran and the U.S. Recent curatorial projects include Fixed Unknowns, Taymour Grahne Gallery, New York, 2014; I am Only a Reporter, Ardeshir Mohassess, Modern Section of Art Dubai, 2014; and A Call, a remote project with 80 performers between Tehran and New York. This project was conceptualized with Wafaa Bilal, and opened concurrently at Arran Gallery in Tehran and White Box Art Space in New York in 2011. She has presented work at Dixon Place, La Mama, Eyebeam, the AC Institute and the Museum of Contemporary Art Santa Barbara, among others. She has previously worked at Aperture Foundation, New York; Shirin Gallery, New York; Basement Gallery, Dubai; and Silk Road Gallery, Tehran. She currently works at the Edge of Arabia, where she serves as an associate curator and the manager of the E.O.A. U.S. Tour. She got her B.A. in Public Relations and Journalism from Allameh Tabatabaei University in Tehran, and her M.A. in Art Politics from the Tisch School of the Arts at New York University. Lara Baladi, is an artist. Baladi applies investigations of myths, archives, historical and personal narratives to a multiple range of mediums including architecture, large scale and immersive installations, photography, collage, tapestry, perfume and sculpture. Baladi has been a board member of the Arab Image Foundation since 1997 and founder and curator of the artist residency Fenenin el Rehal (Nomadic Artists, 2006) in Egypt’s White Desert. During the 2011 Egyptian uprising, she co-founded two media initiatives, Radio Tahrir and Tahrir Cinema. Her ephemeral installation, Borg el Amal (Tower of Hope) won the first prize at the 2008/09 Cairo Biennale. In 2003, she received a Fellowship from the Japan Foundation. She collaborated with the Kamera Orchestra at the 2012 Kiev Contemporary Art Biennial, was an artist in residence at VASL in Karachi, Pakistan, 2010, and ArtOmi International Arts Center, Hudson, NY, 2014. Currently, Baladi is a Fellow at MIT University's OpenDocLab (Massachusetts Institute of Technology) for the Fall 2014 and Spring 2015 to create a trans-media project titled Archiving a Revolution in the Digital Age. Amir Baradaran is an artist based in New Yrok. Working in a variety of mediums, Baradaran engages in the realm of speculative, participatory public experiences through the exploration of notions of technology, authorship and identity. Under the title FutARism, he employs Augmented Reality (AR) as a new installation medium. The experiential, conceptual and legal shifts presupposed by the advent of AR connect to Baradaran's interest in radical subjectivities, technology, failed utopias and mysticism. Kelly Dobson, is an artist and engineer. She heads the Rhode Island School of Design (RISD) department of art and technology and its Digital + Media MFA program. Dobson pioneered the Parapraxis of Machine Design, a novel area of research that examines how people relate to and through systems and machines beyond their conscious and intended purposes. Her multi-disciplinary work spans art, engineering, anthropology, history of science and technology, medicine, and culture. Dobson earned two Masters degrees and a Ph.D. from the Massachusetts Institute of Technology (MIT) while a researcher in the Computing Culture Group, the Sociable Media Group, and the Physics and Media Group at the MIT Media Lab, and the Interrogative Design Group in the Visual Studies Program and the Center for Advanced Visual Studies. Dobson’s research centers on empathy, communication prosthetics, alternative medical technologies, and Data Visceralization, a means of making intangible events sensory. Dobson invents sculptural sensitive interfaces and apparatuses of engagement that facilitate communication bridges between otherwise separated entities. She works in sound, infrasound, voice, touch, sensitive/intelligent textiles, sculpture, hardware, software, and performance. Dobson received the VIDA Art and Artificial Life Honor and the Rockefeller New Media Artist Fellowship among other awards and distinctions. Her work has been exhibited at leading international venues, such as at Apexart, Eyebeam, The Kitchen, and Exit Art in NYC, Witte de With in Rotterdam, Circulo De Bellas Artes in Madrid, and the Millennium Museum in Beijing. Her work is published in Adversarial Design, See Yourself Sensing, Design Meets Disability, FAB, Makers, and The Art of Critical Making, and in the journals Wired, Make, Grey Room, Res, and more. 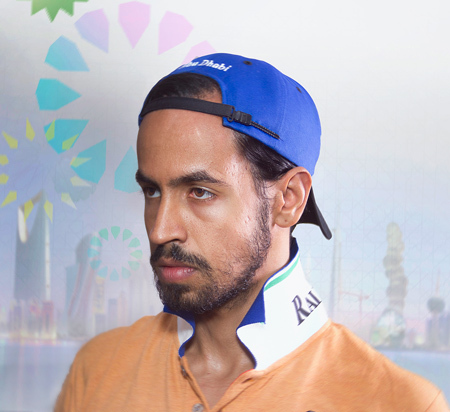 Abdullah Al-Mutairi is an artist and founding member of the GCC who lives between Kuwait and the United States. 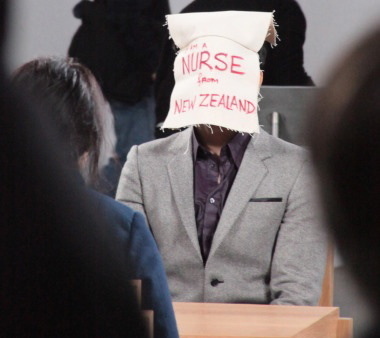 He has exhibited at Art Dubai, UAE; Mathaf, Qatar; The Serpentine Gallery, UK; and contributed to Hans-Ulrich Obrist and Simon Castets ongoing digital natives project 89plus. As a member of the GCC collective, his collective work has been exhibited at MoMA PS1, Fridericianum, New Museum and the Sultan Gallery, among other institutions. 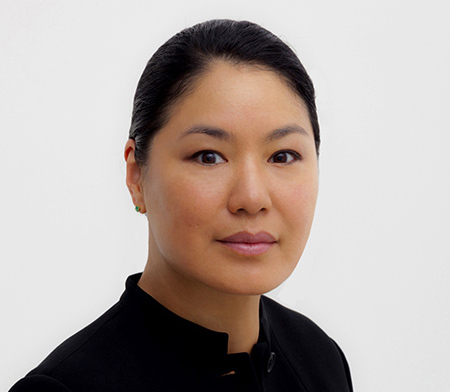 Carol Huh is the first curator of Contemporary Art at the Freer Gallery of Art and Arthur M. Sackler Gallery, Smithsonian Institution. Through exhibitions, acquisitions, and public programs, Huh is responsible for further developing the Galleries’ effort to explore current environments of artistic production and social change related to Asia. Recent projects have included the museum’s ongoing Perspectives series (including works by Y.Z. Kami, Anish Kapoor, Hai Bo, Hale Tenger, Lu Chunsheng, Minouk Lim, Ai Weiwei, and Rina Banerjee). Huh organized Moving Perspectives, the Galleries’ first series of exhibitions focusing on video art from Asia (with works by Shahzia Sikander, Lida Abdul, Dinh Q Lé, Yang Fudong, and Yeondoo Jung, among others). Special exhibitions include Sense of Place: Landscape Photographs from Asia (2013), Nine Deaths, Two Births: Xu Bing’s Phoenix Project (2013), Shadow Sites: Recent Work by Jananne al-Ani (2012), and Fiona Tan: Rise and Fall (in-house curator, 2010). She is responsible for building the Galleries’ collections of contemporary Asian art, especially in the area of photography. Huh is co-chair of the Smithsonian Artist Research Fellowship Committee and member of the Smithsonian’s Time-Based Media Art Preservation Group and the Smithsonian Networks Review Committee. Henry Hemming is the author of five works of non-fiction – Churchill’s Iceman, Together, In Search of the English Eccentric, Misadventure in the Middle East and a monograph on the artist Abdulnasser Gharem – and has co-authored the visual books Edge of Arabia and Offscreen. He has written for The Sunday Times, Daily Telegraph, Daily Mail, The Times, The Economist, FT Magazine and The Washington Post and has given interviews on Radio 4′s Today Programme and NBC’s Today Show and spoken at schools, festivals and companies including RDF Media, The RSA, Science Museum, Frontline Club, The School of Life, Port Eliot Literary Festival and Canvas8, where he is a Thought Leader. He lives in London with his wife and daughter. 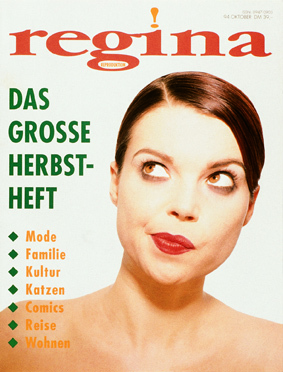 Regina Maria Möller is an artist, author and founding editor of Regina. Möller is the creator of the label embodiment. Her artistic practice involves a wide range of medial formats and interweaving complex stories, which often deal with the question of identities. She uses “strategies inherent in the media she works with; overwriting and adapting them for the purpose to show that there are always a number of different versions underneath and alongside the official interpretation.” The projects and works of Regina (Maria) Möller have been exhibited nationally and internationally in venues including Manifesta 1 / NL; Aperto - Venice Biennial / IT; Louisiana Museum of Modern Art / DK; Tate Liverpool / GB; Secession Wien/AT; 3rd Berlin Biennial / DE; Sprengel Museum Hannover / DE; Kunstverein München / DE; Tensta konsthall / SE and more. 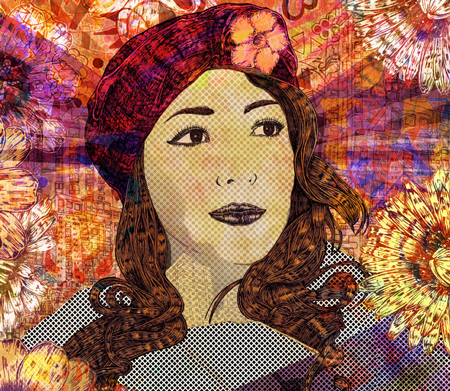 In addition to her artistic projects, she regularly gives talks and hosts workshops worldwide. She has given lectures as a professor and guest professor at numerous universities and academies. Currently she is Professor at the Trondheim Academy of Fine Art / Faculty of Architecture and Fine Art / Norwegian University of Science and Technology (KiT / NTNU). 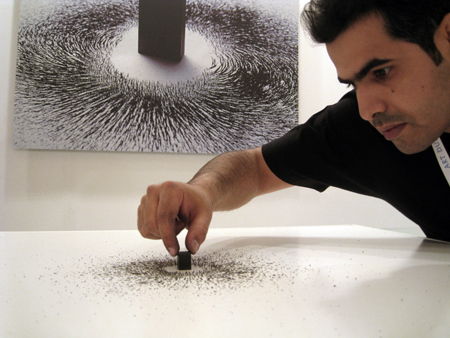 Ahmed Mater is an artist and co-founder of Edge of Arabia. He works as an artist and medical doctor, and splits his time between Abha, Jeddah, and Makkah in Saudi Arabia. He is the founder of the Al-Meftaha Arts Village in Abha. He co-founded Edge of Arabia in 2003, and since then has attracted international attention for his art, which encompasses photography, calligraphy, painting, installation, performance, and video. His work explores the narratives and aesthetics of Islamic culture in an era of globalization, consumerism, and transformation. Most recently, his artistic practice has delved into unofficial histories of Saudi life through examinations of the differing representations of traumatic events, and how these representations construct collective historical dimensions. His recent work increasing uses image and video to explore local collective memory and unofficial histories behind contemporary Saudi Arabian sociopolitical life. Ziad N. El-Sayed is the co-founder of Saudi Art Guide, an unprecedented and first of its kind guide to art and design discovery in Saudi Arabia. Born in Al Khobar, Saudi Arabia, Ziad hails from Lebanon and is of Palestinian descent. Having majored in Marketing and Advertising at AUST, Beirut-Lebanon, he returned to his base Jeddah, Saudi Arabia and embarked on his artistic journey. His career began as a Film Art Director during the boom of commercial film production in the Kingdom in early 2007. This led to working on professional filming sets, mostly with international directors and DOP's such as Greg MacGillivray, Duncan Robson, Selim Al Turk, Zaphiris Epaminondas, and IMAX film (Arabia 3D). In late 2008, Ziad co-founded V TWO with Ala'a Elsayed, a space where creativity and solutions could merge on different levels. 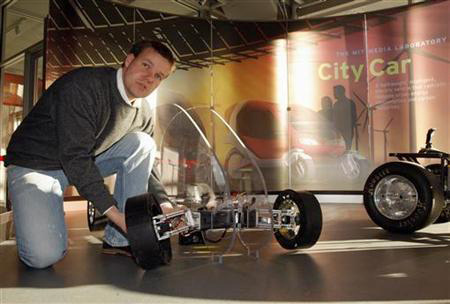 Peter Schmitt is an artist and roboticist. Schmitt creates kinetic installations, machine-like sculptures, animated forms and robotic assemblies. His work utilizes digital tools to regain authorship over all components involved in expressing motion through form and material. With a traditional, craft-oriented background in sculpture, Schmitt began creating kinetic art works using off-the-shelf industrial and ready-made components. In his current practice, Schmitt creates his own tools and methods for handling the inherent complexity of kinetic assemblies through computational tools and custom CNC machines. This method allows Schmitt to create context specific and unique one-offs that provide an artistic and creative commentary on contemporary trends in industrial fabrication, 3D printing and robotics among other domains. In sum, Schmitt believes form should drive function instead of simply following it. Schmitt holds a MFA (Akademiebrief, 2005) from the Academy of Fine Art (Kunstakademie) in Düsseldorf Germany where he studied fine arts, sculpture, under Klaus Rinke (who awarded him "Meisterschüler" in 2003) and photography under Thomas Ruff. In 2011, Schmitt received his Ph.D. in Media Arts and Sciences from the Personal Robots Group at the Massachusetts Institute of Technology, Media Lab. 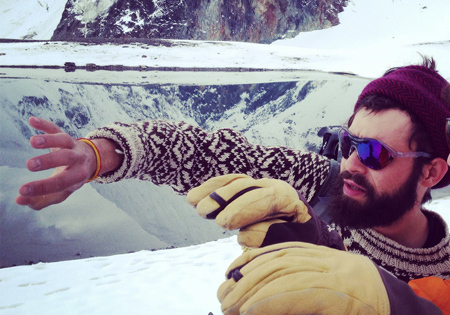 After graduating, he launched Original Machines Studio. As part of his interdisciplinary practice, he is collaborating with Chris Bangle, CBA (Turin, Italy) and advising General Sensing Ltd (Hong Kong) as Director of Design. Stephen Stapleton is an artist, curator, and co-founder of Edge of Arabia. 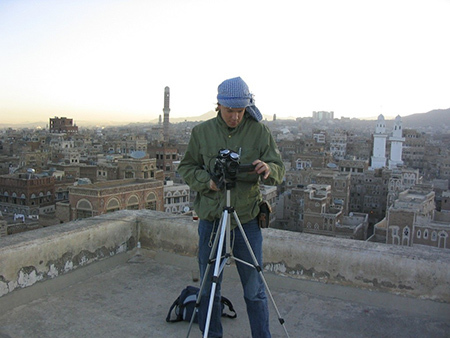 After encountering the artistic community in Abha, Saudi Arabia during a journey across the Middle East in 2003, he founded the Crossway Foundation and Edge of Arabia as platforms for creative collaboration between the Middle East and the Western World. He later founded EOA.Projects, an art gallery showing contemporary art from the Middle East based in Battersea, London. Stapleton has a degree in fine art and philosophy from the University of Brighton, a PGCE in art education from the University of London, and has exhibited his own artwork in Tehran, Amman, London, Oslo and New York. 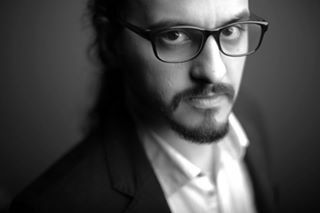 He has published several books related to the Middle East, including Offscreen: Four Young Artists in the Middle East, and has won several awards for his work in the field of intercultural education. Kuba Rudzinski is a graphic designer, traveller and photographer. Rudzinski is specialised in visual communication, particulary interested in typography. His practice is focused on print and the usage of the language and aesthetics in digital media. He is regularly travelling to Asia, mainly India and Nepal, leading treks, and mountaineering trips in the remote regions in Himalayas. 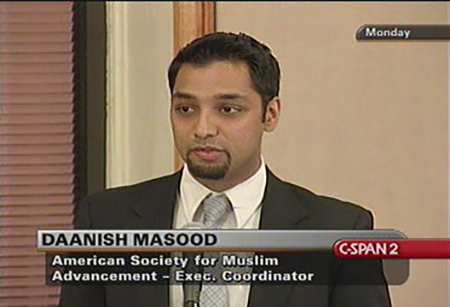 Daanish Masood is a community organizer, and advisor at UN Alliance of Civilizations. After 9/11, Daanish worked as a community organizer to assist immigrants facing discrimination under the National Security Entry-Exit Registration System, a system for registering non-citizens in the United States, initiated in 2002 as part of the War on Terrorism. In 2007, Daanish joined the UN Alliance of Civilizations, a special initiative launched under Kofi Annan and continued under Secretary-General Ban Ki-moon, which conceives of and executes experimental projects to investigate the role of identity in violent conflict. Through the Alliance of Civilizations, Daanish has run projects around the world intended to address religious, cultural, and ethnic tensions. Independent to his work at the UN, Daanish began a separate artistic project in 2012, which draws on neuroscience research, storytelling, and virtual reality to foster and further empathy across bodily barriers. In May 2014, he joined BeAnotherLab to develop conflict resolution applications for The Machine to Be Another and create partnerships with researchers, investors, and institutions interested in using the machine. Daanish studied Philosophy at New York University and speaks Arabic, Farsi, and Urdu. Matthew Mazzotta is an artist and Lecturer, MIT Program in Art, Culture, and Technology (ACT). He works in a trans-disciplinary fashion, collaborating with local laborers, academics, engineers, builders, community members, activists, artists, poets, and anyone else who is willing to be involved in something experiential and participatory. Matthew’s work evolves from an interest in exploring the relationship between people and their environments, as well as between each other. His practice is conceptual and manifests as participatory public interventions that aim at bringing criticality and a sense of openness to the places we live. These socially-engaged interventions allow for a re-entry of the physical and metaphorical landscapes of our lives by provoking conversations around exploring the local, questions of ecology, public involvement, community building, artist sensibilities, science, and dissecting the systems that make up our ‘everyday’. His work is about reversing the top down one-way exchange of ideas and allowing people to contribute in a more tangible way to their own environment. He receives national and international awards and press with appearances on CNN, BBC, NPR, ABC, MSNBC, The Huffington Post, Discovery Channel, Wired and Science Magazine. He has won the Americans For the Arts/Public Art Network Year In Review Award three times .Matthew received an undergraduate degree from the School of the Art Institute of Chicago and a Masters of Science in Visual studies from the Massachusetts Institute of Technology. Marriam Najeeb Mossalli is a fashion writer, lecturer, entrepreneur and Founder of Shoes & Drama and Niche, Saudi’s leading luxury fashion consulting firm. Mossalli began her career in branding and publishing, establishing the first Life & Style section of the largest English language daily in the Middle East. In 2011 she became a Women’s Appreciation Month spokesperson. As a young entrepreneur and one of the youngest female editors in the Middle East, Marriam represents a new generation of successful young Arab women. Her 2010 article “Women Need to be Fully Integrated into the Workplace” gained international attention and made her a known voice in the advocacy for women’s increased participation in Saudi society. Her book on branding, Glamorized Globals, which she co-authored with three Saudi consultants, was published in March 2013. Today, Marriam has emerged as one of the region’s leading thinkers on fashion and digital media. Marriam has Saudi-American heritage and and international education in Lugano, Switzerland and Washington, D.C. She graduated with Honors from George Washington University. CULTURUNNERS workshops and symposium was chaired by Azra Akšamija, Class of 1922 Career Development Professor and Assistant Professor in the Program in Art, Culture, and Technology at MIT, and Stephen Stapleton, artist and Edge of Arabia co-founder. 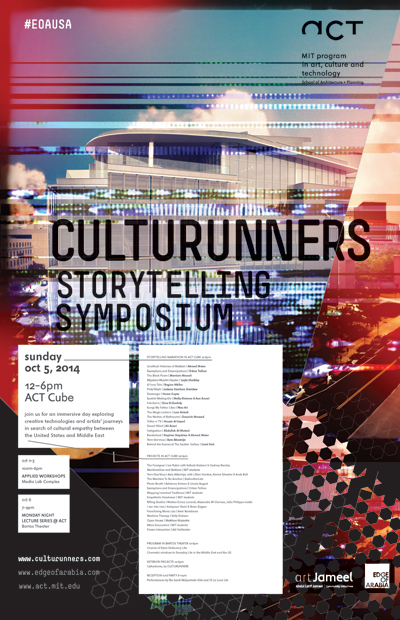 The CULTURUNNERS STORYTELLING SYMPOSIUM was co-curated by Azra Akšamija and Ava Ansari. Location: Program in Art, Culture and Technology, Media Lab Complex, MIT. 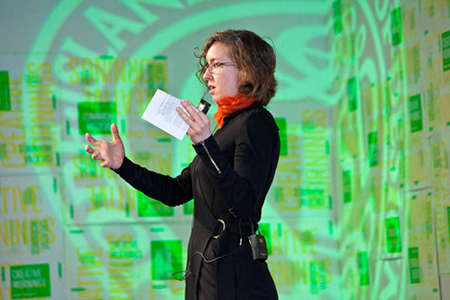 Lead: Azra Akšamija, artist, architectural historian, and Assistant Professor at MIT. Participants: Husam Al Sayed, Ziad Al-Sayed, Saeed Arida, Henry Hemming, Carol Huh, Garbiel Kahan, Molly Kleiman, Chris Morrissey, Kuba Rudzinski, Jon Rubin. MIT hosted a daylong multi-disciplinary Symposium concurrenly at the Cube and the Bartos teather in the spirit and style of a 'Majlis’, an Arabic term used widely in different social contexts denoting a welcoming environment that embraces diverse types of social gatherings, from a family party to a political senate. Curated by Azra Akšamija and Ava Ansari, the program was a roving portrayal of personal experiences, case studies and theories that interconnect narratives, economies, politics, cultures and landscapes specifically related to the United States and the Middle East. Audience members had the opportunity to move between different curated environments and interact with the presenters, during which they can examine and test the wearable, mobile, and online technologies developed during the workshops. Participants: Azra Akšamija, Abdullah Al-Mutairi, Husam Al-Sayed, Ava Ansari, Ali Asani, Ursula August, Lara Baladi, Amir Baradaran, Gedney Barclay, Kelly Dobson, Dina El-Zanfaly, Huma Gupta, Lilian Harden, Sohrab Kashani, Molly Kleiman, Adrianne Koteen, Daanish Masood, Ahmed Mater, Matthew Mazzotta, Peter McMurray, Regina Möller, Marriam Mossali, Michael Rakowitz, Jon Rubin, Rashad Salim, Layla Shaikley, Karina Silvester, Stephen Stapelton, Jackson Struthers Davidow, Orkan Telhan, Katayoun Vaziri. This Lecture acted as a coda for the weeklong collaboration between CULTURUNNERS, Edge of Arabia and MIT's Program in Art, Culture and Technology. The lecture was followed by a Q&A moderated by Ava Ansari and Azra Akšamija.